So I have to start out this review by saying that this game is totally awesome. 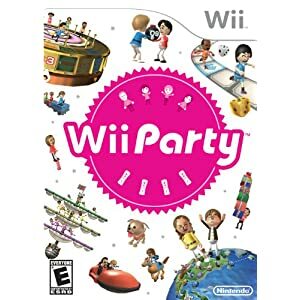 WiiParty was released by Nintendo on October 3 and it’s sure to be a hit this holiday season. This game is all about group play – playing up to 4 player you can interact and work together as a team on various games, or go head to head on various challenges. There are party games like Bingo or you can set it to mini-game mode and play short challenges that last from only a few seconds to a few minutes. 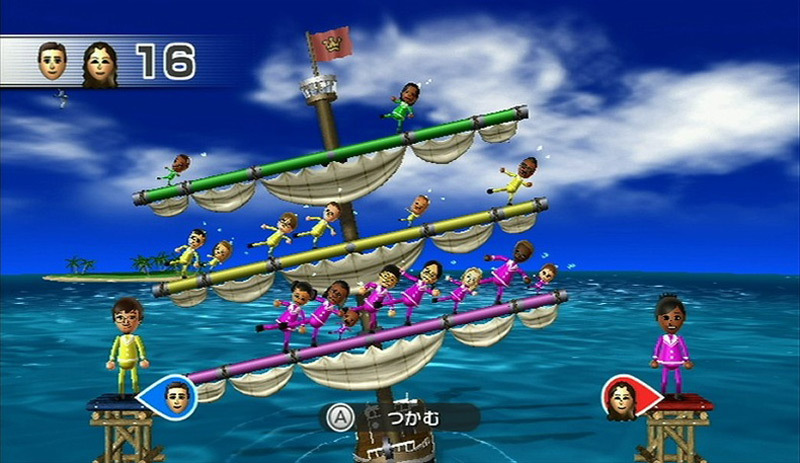 Here’s a screenshot of a group collaboration where you have to balance Miis on a tipping boat. Disclaimer: I was provided with a Wii Party Kit, which included the game, remote and a small gift card for pizza, to facilitate this review.